Nuclear fusion can be one of the most attractive sources of energy from the viewpoint of safety and minimal environmental impact. 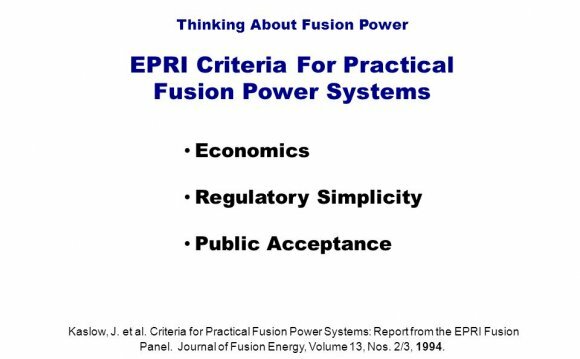 Central in the goal of designing a safe, environmentally benign, and economically competitive fusion power system is the requirement for high performance, low activation materials. The general performance requirements for such materials have been defined and it is clear that materials developed for other applications (e.g. aerospace, nuclear fission, fossil energy systems) will not fully meet the needs of fusion. Advanced materials, with composition and microstructure tailored to yield properties that will satisfy the specific requirements of fusion must be developed. The international fusion programs have made significant progress towards this goal. Compositional requirements for low activation lead to a focus of development efforts on silicon carbide composites, vanadium alloys, and advanced martensitic steels as candidate structural material systems. Control of impurities will be critically important in actually achieving low activation but this appears possible. Neutron irradiation produces significant changes in the mechanical and physical properties of each of these material systems raising feasibility questions and design limitations. A focus of the research and development effort is to understand these effects, and through the development of specific compositions and microstructures, produce materials with improved and adequate performance. Other areas of research that are synergistic with the development of radiation resistant materials include fabrication, joining technology, chemical compatibility with coolants and tritium breeders and specific questions relating to the unique characteristics of a given material (e.g. coatings to reduce gas permeation in SiC composites) or design concept (e.g. electrical insulator coatings for liquid metal concepts).